Intelligence agents on Saturday, May 9, arrested Mehdi Maramazi, to force his family to deny their other son, Hatam Marmazi, had been killed under torture. The family was also pressured to appear on the state TV to claim their son was a terorist affiliated to ISIS. The authorities had also arrested the parents on May 5 when they went to take their son’s dead body. They forced them to commit in writing to refrain from any public comments on his death. The intelligence agents refused to deliver the corpse and told the family that they will inform the burial site after the funeral. It is worth noting that the Intelligence Ministry in Ahwaz murdered Hatam Marmazi 20, under torture. 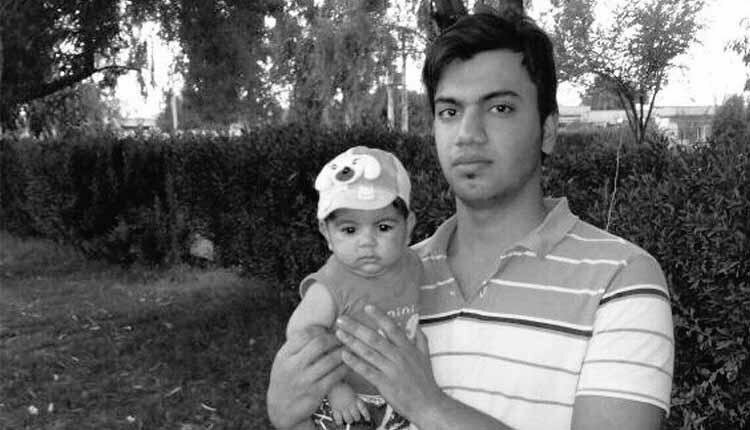 Ahwaz intelligence authorities contacted the family of Hatam Marmazi on June 5, to have them come and receive his lifeless body. Marmazi, a political and cultural activist born in the city of Susangerd, was arrested by Ahwaz intelligence authorities on June 12, 2017, in a village while returning from the home of his relatives. His family was kept in the dark despite the fact that they constantly sought information about his whereabouts. All security and intelligence entities denied any knowledge of his arrest. A number of Dec/Jan demonstration protesters arrested by intelligence agents had seen Marmazi in the Ahvaz Intelligence Department and informed his family of his whereabouts at the time. After the death of Hatam Marmazi, the state media denied his death under torture and claimed he was a member of the ISIS and was killed by Tahrir al-Sham members in Syria. His family however deny the allegations. Faisal Marmazi, another family member has recently released a video file denying Hatam’s dependence on ISIS in Syria, which was claimed by the state media. “Iranian authorities are responsible for his death. The published photos are not related to Hatam. None of these photographs is true and it is a sheer lie,” he said.